At least, that's mostly how it works. In Junana, all the techniques occur with otoshi (foot-fall) timing. 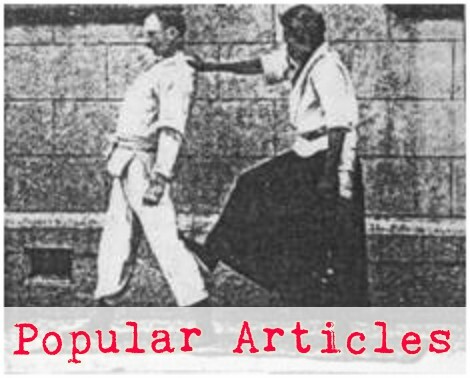 Some of the techniques, though, may have a preceeding guruma or otoshi-guruma motion that sets up the throw of interest on a footfall. The floating throws, for instance, contain an initial otoshi, rapidly followed by a guruma as you swing uke's arm through. As uke then responds to that guruma in different ways you get different techniques, but all are otoshi. So the action of the floating throws goes otoshi-guruma-otoshi. 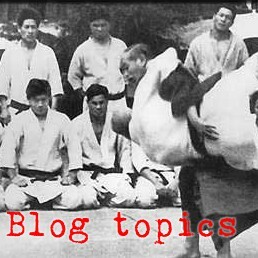 As an interesting and more detailed example, take hikiotoshi - the last of the floating throws and the last technique in the kata. Hikiotoshi is actually a sort of a missing link between Junana (the otoshi exercise) and Owaza (the guruma exercise). Hikiotoshi can be thrown as either otoshi or guruma. Recall a comment on Sensei Strange's blog a while back about throwing hikiotoshi with a guruma action? That's right. You can throw this thing as otoshi or guruma. That makes ukiotoshi/guruma (in junana) and kataotoshi (in owaza) interesting transition techniques binding the two kata together and reminding us as we practice either principle, of the other.